Rotafix Chemflor CR Grey is a 2-part solvent free epoxy floor coating designed for application to concrete, metal and brick surfaces. 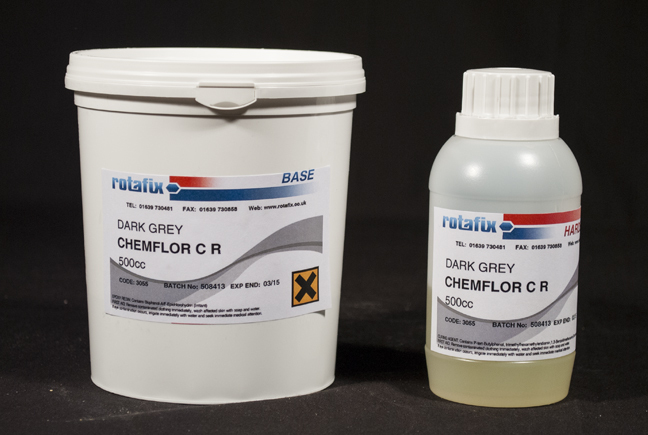 Rotafix Chemflor CR Grey is easily cleaned and decontaminated making it ideal for food preparation areas and medical treatment areas. Rotafix Chemflor CR can be combined with aggregates to give an abrasive surface. Rotafix Chemflor CR has been used to line everything from brake roller drums to industrial potato peelers.